I am continually amazed at how many companies are stepping up the quality and design elements of their products. I used to have so much trouble replicating pieces in my wardrobe that would resemble a high-end brand. These days, companies realize that as savvy consumers, we don't ever want to compromise quality simply because we may not have the budget for extravagant designer goods. With it's perfectly neutral color and the pretty tassel detail, I knew it would be a great choice for Spring. The $45 dollar price tag blew me away and before I knew what was happening, I walked out of Aldo with a pretty new bag to add to my collection. I wasn't going to do it because I am saving for something special, but how can an accessories addict resist? It reminds me of this dream bag, one in which I would have to sell all of my current posessions (including maybe my car) to attain. Of course not exactly the same, but I still got that whole Birkin vibe from Aldo's Cyphert. What do you girls think? The bag is gorgeous, I would've totally bought it...even though I said I'm done buying more bags for a while. Lilly: Thank you sweetie, that's what I told myself. No more bags, you're saving Noelle...there's no justification! Beautiful! I'd love to see IRL photos of it! I am such a sucker for boxy-shaped bags and tassels, and this one has both! Can't wait to see this in an OOTD! Super cute! I actually like your version better than the Birkin! Love the tassel, so cute! Henessy: I hope they do ;)I know there is an Aldo in London right? Amy: I keep seeing tassels on lots of things for Spring. I like the trend, especially on this bag! Meghan: Thank you, I will do one as soon as I get a chance! Love that bag!! I am feeling the same for Aldo! I recently bought three bags from them, one of which is very similar to the one you got. Their bags are the only ones I've seen that have that super luxe look while still being under $100. LOVE! I can't wait to see how you style it. that bad is so good. absolutely in love with it. I have been buying aldo bags for awhile now and no one ever knows that's where they're from. Oooo I like it! Very pretty! If I wasn't saving for New York, I would def. pick one up too! OMG wow. Your bag is absolutely gorgeous! I want I want I want! 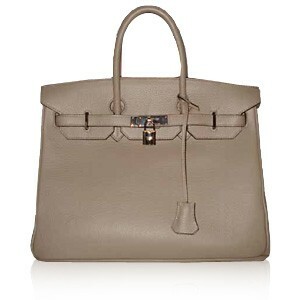 The Birkin is my dream bag as well. Lynn and Veronika: Aldo really does have some beautiful looking bags, and for a lot less than people would think. Love that! Katie: I don't know, NYC sounds like more fun, lol ;) It is good you're saving for the trip! Love those too, but why do they have to be so expensive?!?!? Andee: Oh I love Marc Jacobs. I want one of his bags.